Keener’s right emotional brain has been firing on all cylinders this week. When I am in the midst of one of his emotional moments, 5 minutes feels like 5 years. The tears are flowing and he has no idea what he wants. He will be upset about going somewhere he wants to go. He will make a big to do about only me putting his shoes on. I have been having a really hard time exuding patience, empathy, and compassion. I find myself wanting to say, “You are driving me absolutely insane and I don’t want to be around you.” Thankfully, I refrain. The other day we were going to swimming. I have been waking Keener up from his naps as we were running into late bedtimes because he wasn’t tired. As Grace likes to say, “No, no, no!” I would rather have him sleep less during the day and keep his same bedtime. I woke him up and he instantly started crying. In general, he is much happier when he wakes up on his own compared to me waking him up but once he realized where we were headed, the tears only intensified. “I don’t want to leave the house! I want to go to the park! I want a snack! 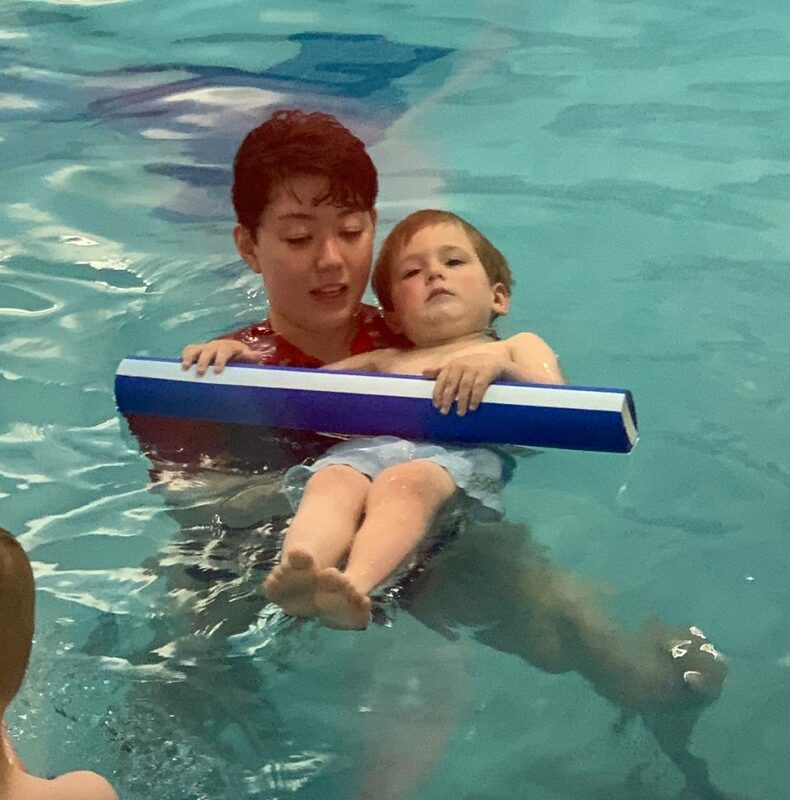 I don’t want to go to swimming!” I started to validate how he was feeling: I know you don’t want to go. Sometimes mommy doesn’t want to do things either. I get it buddy. You are upset. It’s ok to be upset. I connected with him, right brain to right brain. No change. Then I tried to use some reasoning to try and make him better. You know what? The weather is getting warmer and the outside pool is going to open soon! 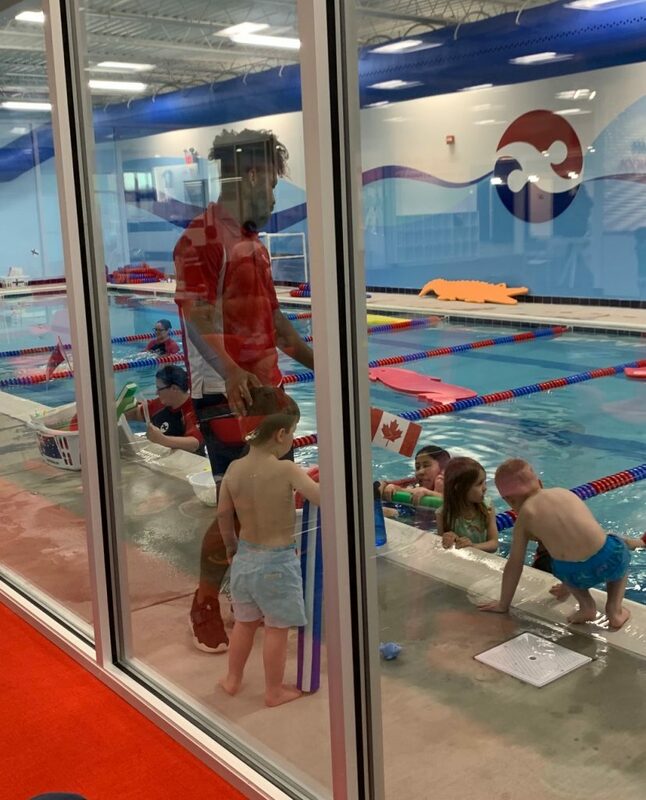 You have to go to swim class so you know how to swim in the big pool this summer! That will be so fun when you know how to swim and play with your pool toys, splash in the pool, and blow bubbles! No improvement. I then opted for distraction. I thought he might just need to break the cycle. Hey! Did you see that big truck that just went by? That was a huge truck! Where do you think it’s going? If he had the language to say “Mom, just stop trying,” he would have. The tears and confusion continued to flow. What was my next move? Besides having to go wake Grace up to get to swimming on time, I wasn’t sure what my next play was. And I also knew that Keener crying was going to make Grace cry. Screw you, swimming. I was having an internal dialogue with myself the whole time while going through the same three steps with Keener, again and again. I was validating how he was feeling, using reasoning to let him know why I was torturing him, and trying to distract him to get him to stop crying. I feel like I repeated this cycle upwards of 10 times, each time getting closer and closer to losing my mind. As I continued my validate, reason, distract approach, I added in some cause and effect. 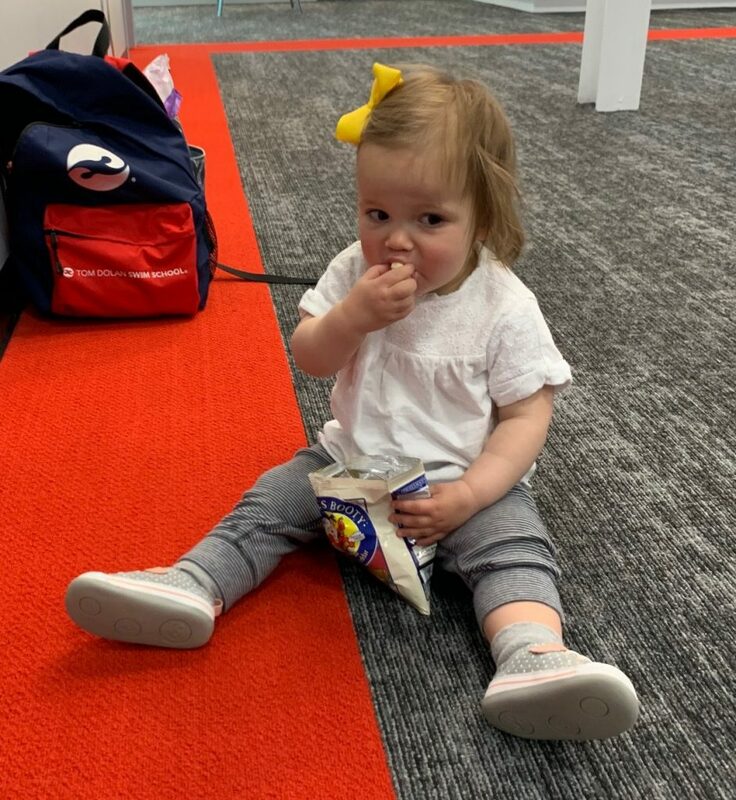 It may also be known as bribing, but I like to think of it as cause and effect – if you don’t cry during swimming, we can go to the park after. If you don’t’ cry during swimming, you can have two jelly beans after. I didn’t know what else to do. I was at a complete loss. He has to stop crying eventually, right? As I realized my validate, reason, distract cycle wasn’t working – and was even starting to annoy myself — I also threw in there a plan. OK Keener. It sounds like we need a plan. Do you think we need a plan? Ok, great. We are going to go to swimming. You are going to have so much fun. You are not going to cry. Mommy is going to be there the entire time. No, I’m not going to be in the pool with you (thank goodness) but Grace and I will be cheering for you! When you look over and see us, we are going to have big smiles on our faces and say, ‘Go Keener!’ After you are done, I am going to give you a BIG hug and wrap you in a warm towel. We are going to get dressed, have two jelly beans and go to the park. How does that sound? It was the closest he had come to breathing normally in the last 20 minutes. He was starting to get it together and I felt like I had fought a battle. I’m sure he did as well. We parked at the pool and made our way in. We had about 5 minutes before class began which was enough time to get settled and find our teacher. 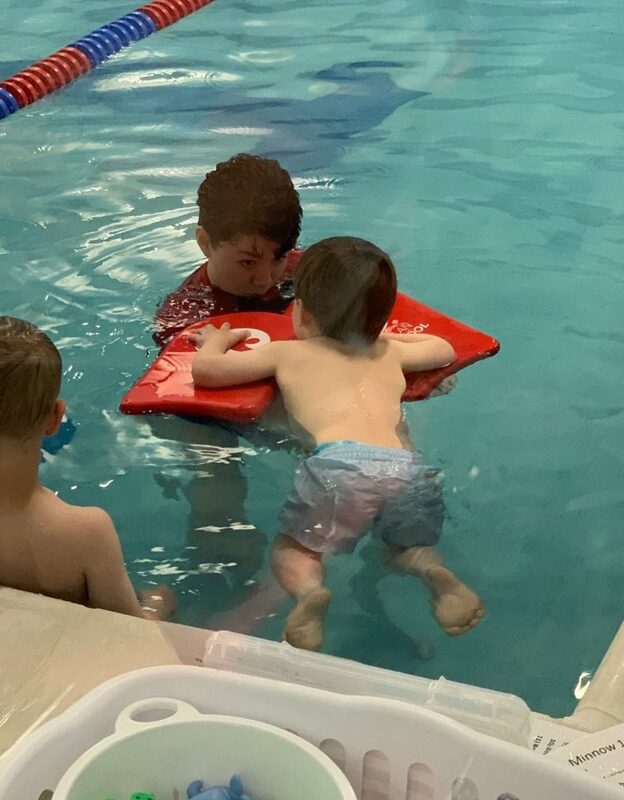 Part of the reason he has dreaded swimming is because the teacher has been different every week. I had received an email earlier that day that a new regular teacher was taking over his class. Time to find her! There is Ms. Sabrina. 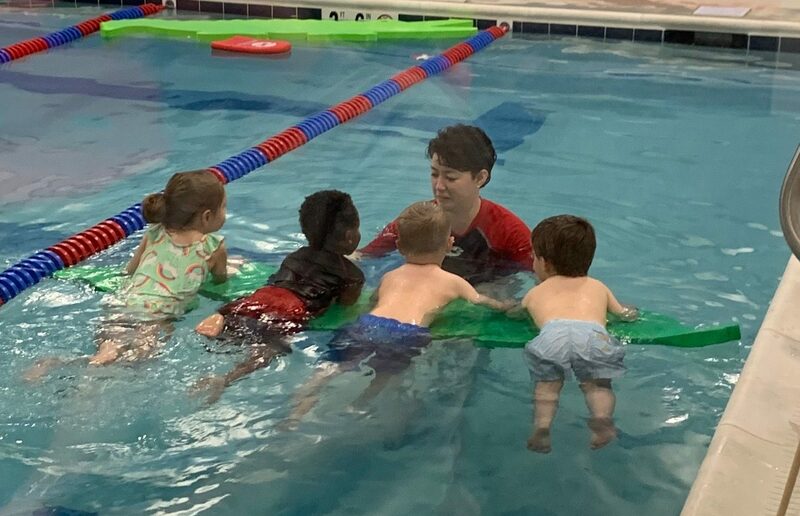 She is teaching other kids to swim right now and in just a minute, you are going to be in the pool just like those kids right there. Ms. Sabrina is your new teacher. Look, these kids were in your class last week! My last ditch effort: One more big hug and kiss from mama. I am going to be right here the whole time. I am not leaving. I am going to be watching you and looking for the big smile on your face. There is your other teacher, Mr. Austin!! He wants a high 5! Go Keener go! He managed to fight off the next wave of tears. He connected with Mr. Austin and off he went to find his lane. Mr Austin gave him a pool toy to hold, which helped, as the kids were getting in the pool. You can also see Mr. Austin used physical touch to help him feel more secure. Had this teacher not been so receptive to Keener’s needs, the outcome would have been quite different. The end result? 30 minutes of pure happiness in the pool, laughing and having fun. I made it a point to talk to the other parents and get the names of the other 3 kids in the class. Keener is very social and enjoys knowing the names of his friends. I also knew I could then use their names next week to remind him his friends are counting on him to be there. They will miss you if you aren’t there. Remember how much fun you had with Matt, Robbie and Quinn? On the one hand, watching him all smiles in class, I couldn’t be more relieved. On the other, I was annoyed and exhausted that he spent the last 25 minutes sucking the life out of me. But really, I felt like a rock star. Not that I compete with my two year old, but it totally felt like a game and one that I was quite proud of for coming out on top. It took endless energy, patience and grit, not even knowing if my efforts were going to pay off. Short term pain for long term gain? There is no guarantee. But there really is no downside. I have to play the game/help my toddler learn how to work through things he doesn’t want to do, which is the motivation I need to find that last drop of patience when it seems the tank is empty. In hindsight, it’s all very clear to me. But in the moment, it feels more about survival. Stay tuned for swim class next Wednesday. Will the tears come flowing or will we have finally turned a corner? Ms. Sabrina and Mr. Austin, please be there. This time I laughed! Poor mommy! Love you bunches!